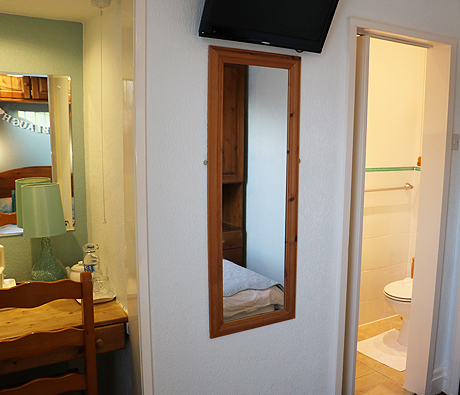 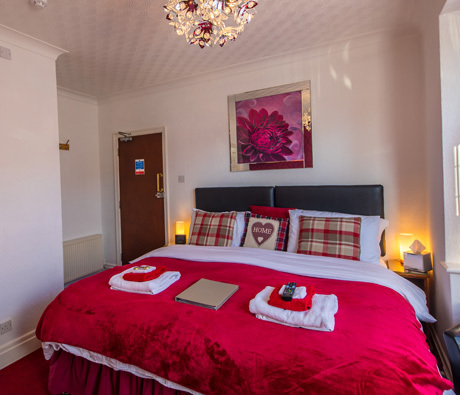 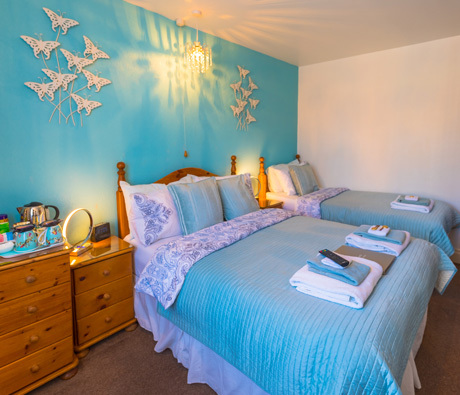 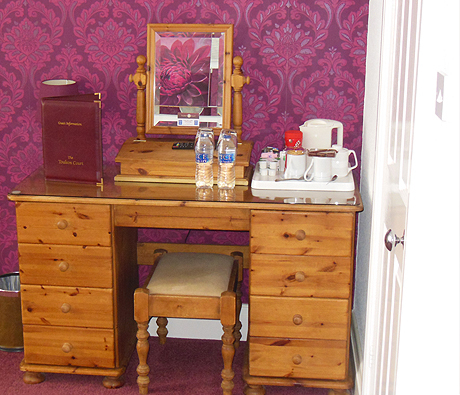 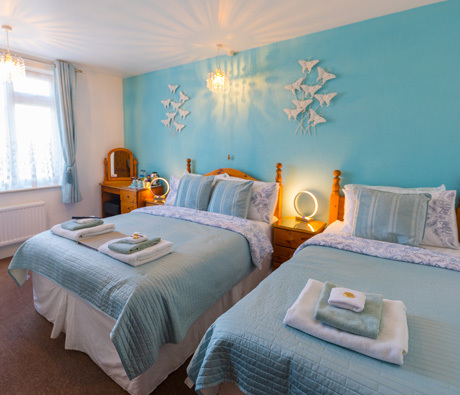 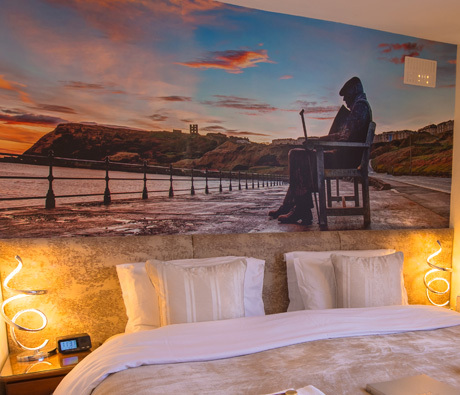 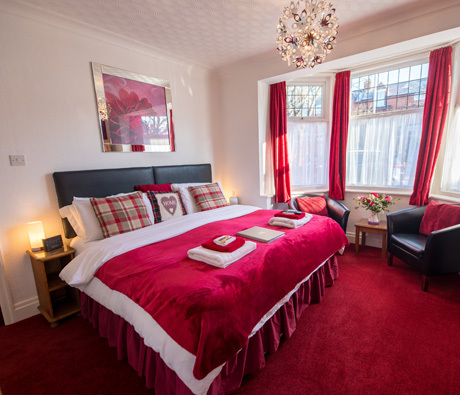 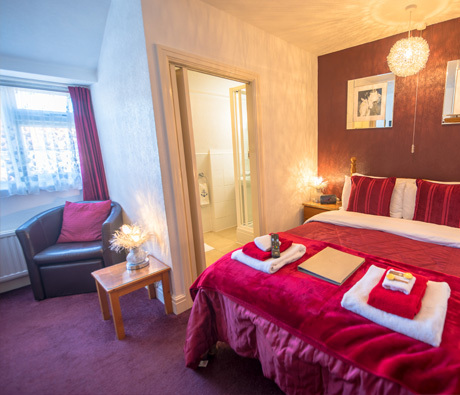 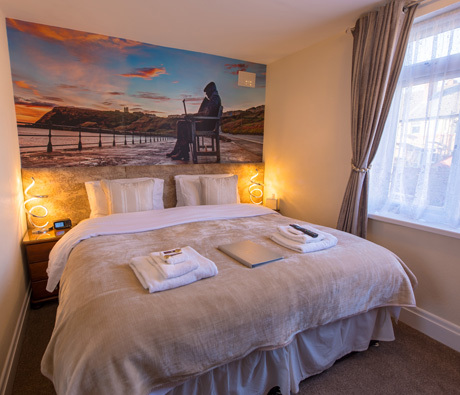 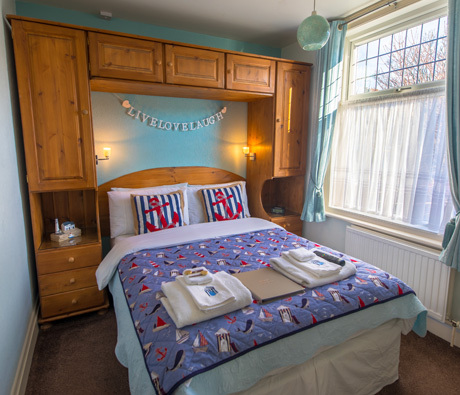 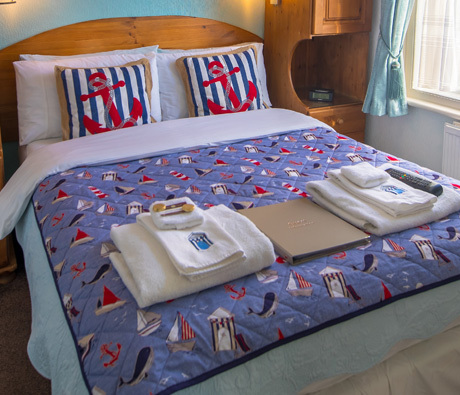 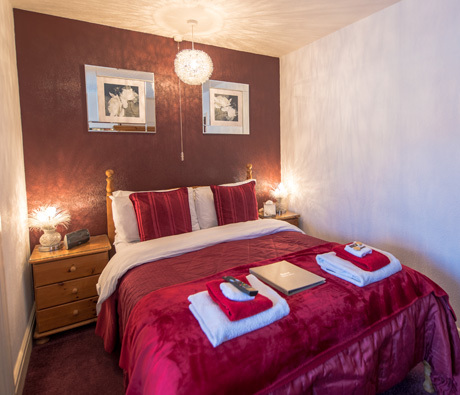 We have 8 tastefully decorated rooms for you to choose from. 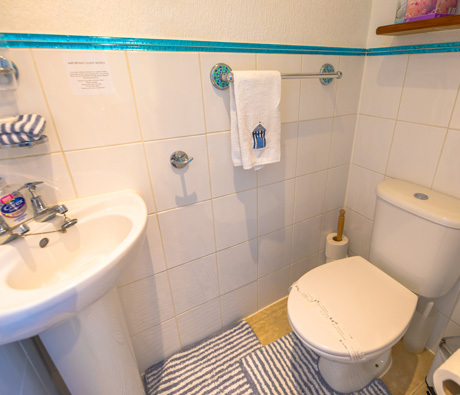 Located on the first floor, this luxury double is complete with En-suite shower room. 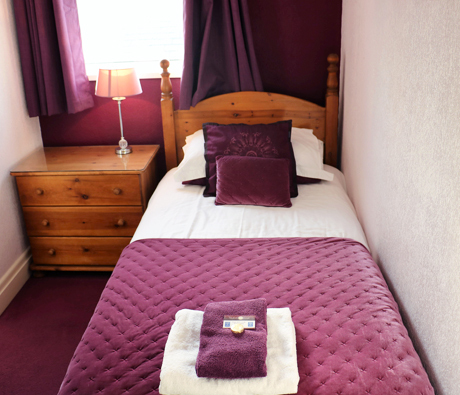 Finished in complimentary tones of purple and white, this room creates a inviting, bright and uplifting feel. 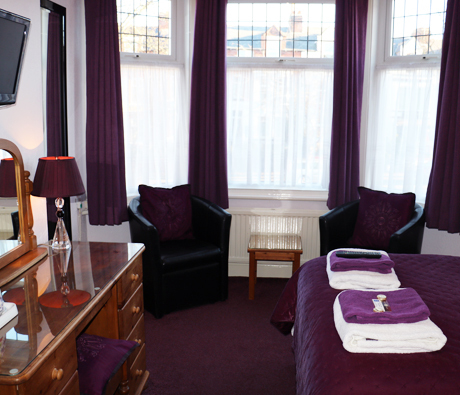 Contemporary leather tub chair seating situated by a large bay window provides a welcoming relaxation area. 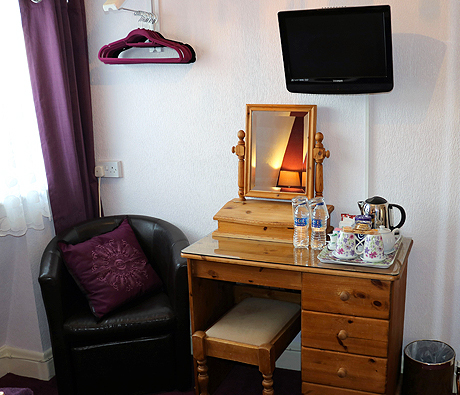 For your entertainment there is a Flatscreen TV complete with Freeview and DVD player. 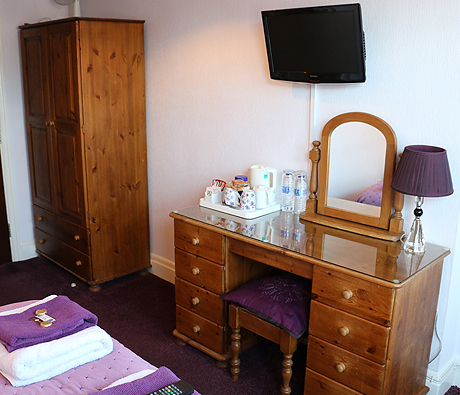 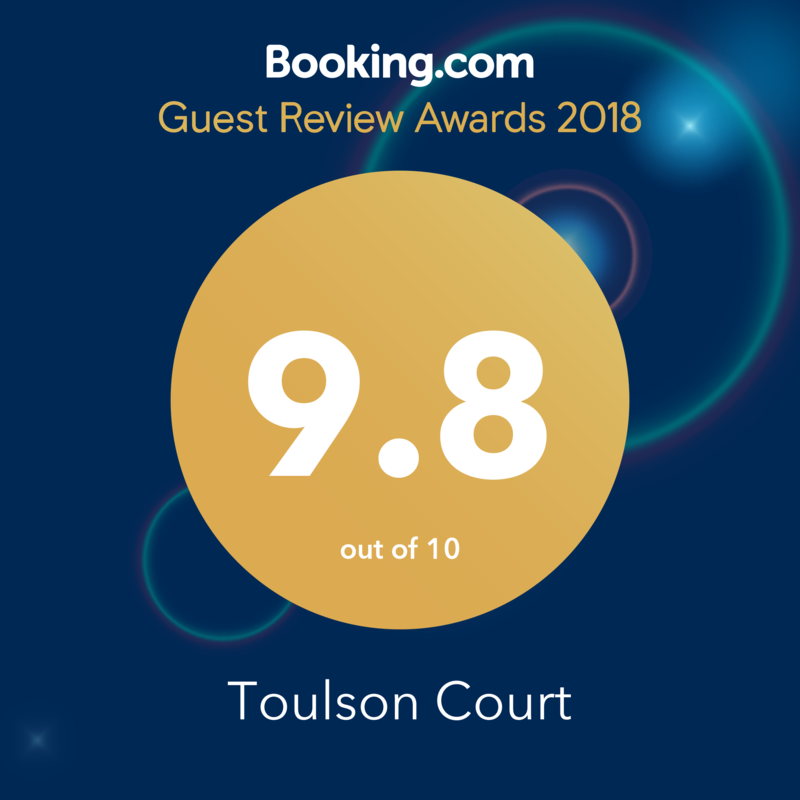 You will also find a generous hospitality tray, a selection of quality complimentary toiletries, a radio alarm clock and hair dryer for your convenience. 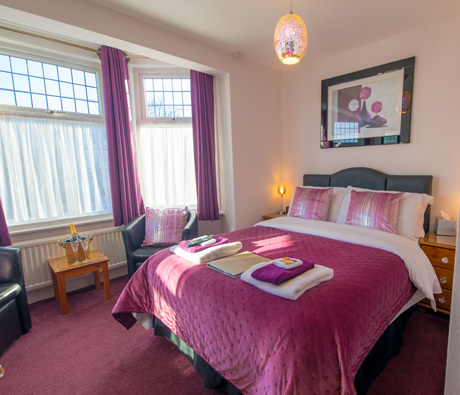 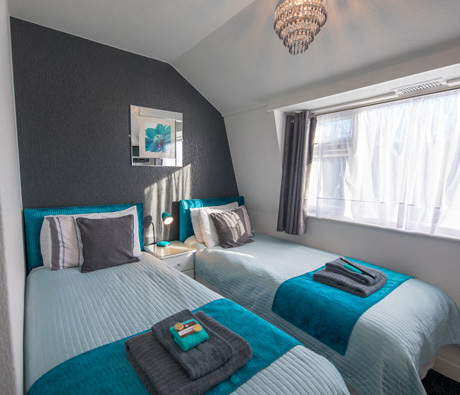 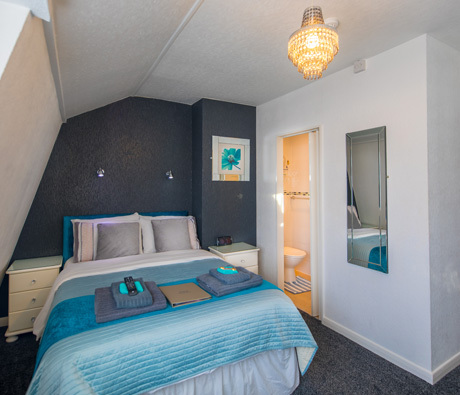 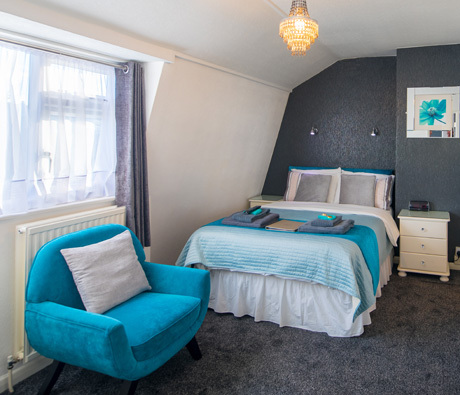 Located on the second floor, this luxury double En-suite room provides a truly relaxing stay. 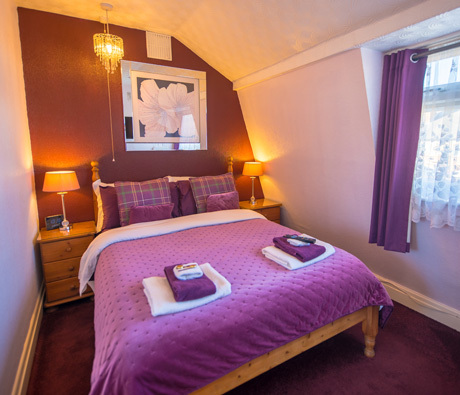 Finished with shades of purple, red and pine wood tones to create a warm, inviting feel, including a contemporary leather tub chair seating area for two. 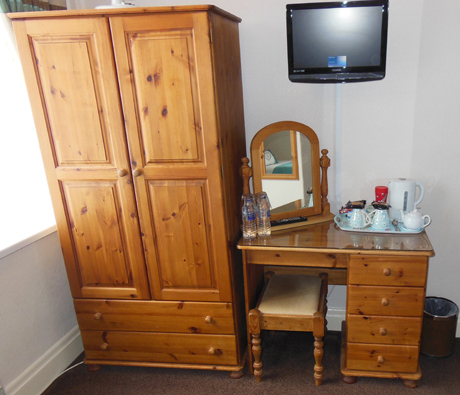 For your entertainment, there is a Flat screen TV complete with Freeview and DVD Player. 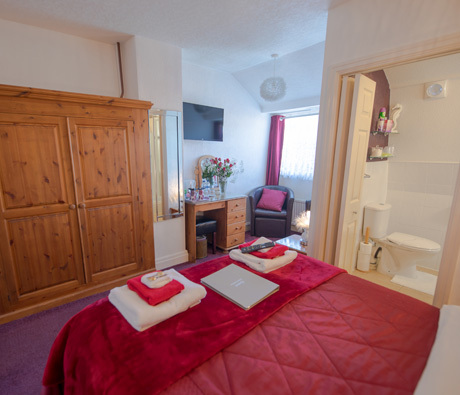 You will also find a generous hospitality tray, a selection of quality complimentary toiletries, a radio alarm clock and hair dryer for your convenience.